In January of 2015, we learned that we were growing another little person. As a mother and father, we were so ecstatic to earn that we were about to have a second child to add to our dream of three. Three amazing children that would grow and learn together. We stayed up at night talking about if our child would be a boy or a girl, would their older brother, Xaiden, love him/her, or would he lash out? I wonder if he'll like music? Or maybe she'd like sports better. The possibilities were endless. We took off of work to be together for our 18 week sonogram, hoping to learn if we'd need to spruce up Xaiden's things, or purchase more in purple and pink. We were so happy to hear "boy" at our gender reveal that weekend; we immediately started talking about our hopes and told everyone his name right then and there - Frederick Benich the Fifth. So royal! The following Monday, I went into my routine OB appointment to discuss my pains and aches and to measure our new treasure. I was excited to talk about all of these things that were flooding my head about having two boys! Unfortunately, my doctor was not as excited as I. She seemed grim, and explained to me that our sonographer capture images of Freddy that weren't quite clear, and that I'd need better pictures to be sure of anything- except she wouldn't tell me what she thought was wrong. I went home scared, but optimistic. I met with my new doctor who would be getting better images of our baby. HEART DISEASE. It hit me like a pile of bricks. "My baby has what? What does this mean?" I had so many questions that were left unanswered. The doctor calmed me down enough to work in her thoughts, "You know, this particular heart disease is a hard marker l, along with his small measurements, for Down syndrome. Would you like testing?" 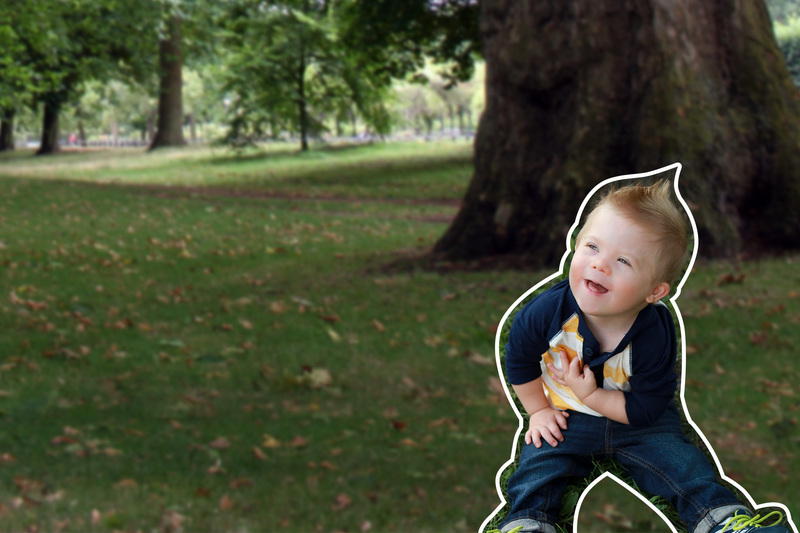 "No way, I'm too young for my baby to have Down syndrome," I repeated over and over again. I pushed ahead. I had genetic testing done as well as an amino, I saw fetal specialists, I toured far away hospitals and planned where to take Freddy when he was born. I read, and talked on forums, and read some more. I cried. I cried more than I'd like to admit. It was absolutely terrifying, and I felt like all of the dreams we had of our perfect baby boy were taken from me and replaced with something that I wouldn't be strong enough for. It was a long, exhausting final 4 month of my pregnancy. Freddy was born September 2nd, 2015 at Methodist Hospital IU in Indianapolis. 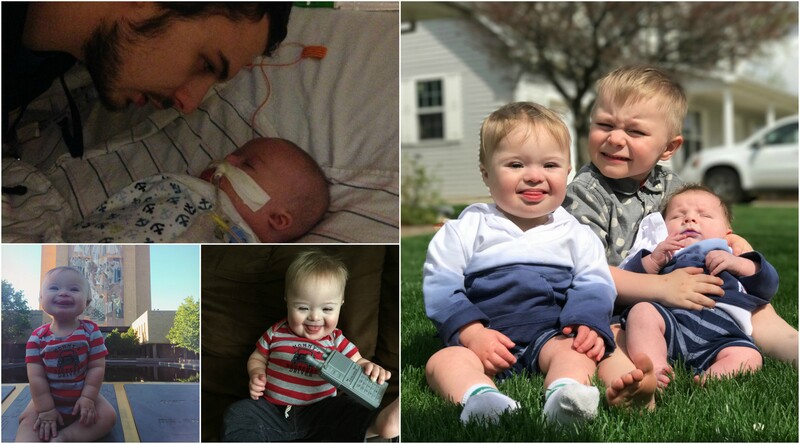 He was diagnosed with Down syndrome and Complete Atrioventricular Septal Defect. He was swarmed with doctors and taken away from me. It wouldn't be until the next day that I'd be strong enough to get to the NICU and hold my baby. The nurse placed him in my arms, and he was tiny and purple and perfect. Absolutely perfect. We would spend many months at nearby Riley Hospital for Children, where Freddy underwent Open Heart Surgery at 10 weeks old. He was diagnosed with many other things here throughout his life, but "diagnosis" has become a much less scary word to us. We'd learn how to work Freddy's medical equipment, meet many therapists and specialists, and be connected to families just like ours across Indiana and the United States. We made friends, and we learned so much about Freddy. In those first few months, it's seemed as if the harshness of the world of Down Syndrome as read in books and articles wasn't applicable. He smiled and cooed and cuddled us just as his brother did. We began to lose our fear and worry less, and we learned to love far more than we knew was even possible. Xaiden has learned to love more, too! Today, Freddy is the middle brother. He loves to cuddle and kiss his baby brother, Lucas. He loves to play catch. He's determined to walk. He signs. Even though he has a Jejunal feeding tube, he's determined and enthusiastic about eating. (Bananas and Blueberries are his favorites!) He's full of laughter and love, and grumpiness sometimes, too, and we wouldn't have it any other way. We often joke that Freddy isn't even the difficult brother, bossy Xaiden is! Regardless, we love them all the same, and no diagnosis or article or naysayers opinion will ever, ever change that. Freddy will grow and prosper as much as he wants!